Rep. Jaime Herrera Beutler, R-Wash., has requested the Department of Transportation study potential methods for reducing the combustibility of crude oil trains. U.S. House Rep. Jaime Herrera Beutler, R-Wash., is urging the Department of Transportation (DOT) to consider further regulation of freight trains carrying crude oil. Beutler earlier this week sent a letter to U.S. Transportation Secretary Anthony Foxx, Federal Railroad Administrator Sara Feinberg and Pipeline and Hazardous Materials Safety Administrator Marie Therese Dominguez asking DOT to study potential methods for reducing the combustibility of crude oil trains. Specifically, Beutler asked DOT to consider whether interspersing oil tank cars with non-volatile commodities might make them less likely to catch fire in the event of a derailment. Beutler’s letter was largely prompted by a growing number of destructive derailments involving crude oil trains in recent years, the largest of which claimed the lives of 47 people in Lac-Mégantic, Quebec in July 2013. Back in June, a Union Pacific Corp. train carrying crude oil derailed near Mosier, Ore., about 68 miles east of Portland, causing some of the tank cars to burst into flames and spill oil into an adjacent section of the Columbia River. That train was en route from Eastport, Idaho to Tacoma, Wash. carrying crude oil from the Bakken formation, which is more flammable and dangerous than other types of crude oil. She asked DOT to consider whether continuous blocks of oil tank cars increases the risks of combustion, potential benefits of requiring disbursement of cars carrying flammable materials throughout a train, and possible effects on combustibility of use of newer DOT-117 tank cars. In addition, Beutler asked if federal regulators have studied speed limits reduction for oil trains as a way to mitigate the risk of combustion. Washington state lawmakers last month adopted new regulations surrounding the transportation of crude oil by rail and pipeline that officially take effect Oct. 1. Developed by the Washington Department of Ecology at the request of the legislature, Chapter 173-185 WAC, Oil Movement by Rail and Pipeline Notification, established reporting standards for facilities receiving crude oil transported by rail and pipeline, and for the department to share information with emergency responders, local governments, tribes and the public. 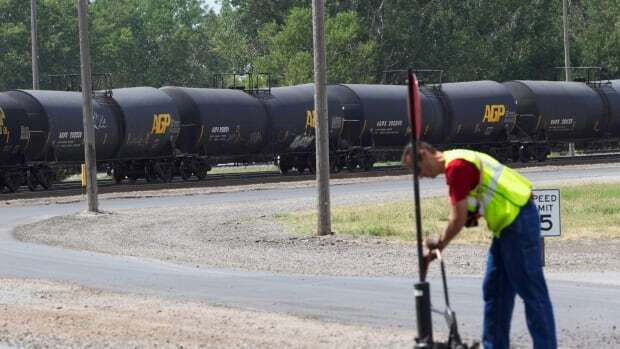 On the federal level, DOT’s Pipeline and Hazardous Materials Safety Administration (PHMSA), in coordination with the Federal Railroad Administration, in August released final rules amending the federal hazardous materials regulations related to the transport of crude oil and ethanol by rail. The rule changes, first introduced by DOT in May 2015 as required by the 2015 Fixing America’s Surface Transportation (FAST) Act, include an enhanced tank car standard and an “aggressive, risk-based” retrofitting schedule for older tank cars carrying crude oil and ethanol. The Senate in May unanimously passed the Railroad Emergency Services Preparedness, Operational Needs, and Safety Evaluation (RESPONSE) Act, which aims to provide additional training for first responders, specifically for handling freight train derailments that include hazardous materials such as crude oil. Originally sponsored by Sen. Heidi Heitkamp, D-N.D., the legislation establishes a public-private council of emergency responders, federal agencies and industry stakeholders tasked with reviewing current training methods and prescribing best practices for first responders to Congress. The council will be co-chaired by the Federal Emergency Management Agency (FEMA) and PHMSA. Rep. Ron Kind, D-Wis., has introduced a companion bill to the RESPONSE Act in the House of Representatives.